There’s a new “Great Taste, Big Savings” rebate offer available again! 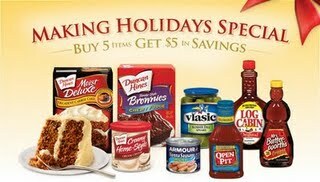 Buy 5 select items below and get $5 in coupons! Just send in the proofs of purchase, original receipt and this form to receive your $5 in savings. Purchases must be made between 11/8 and 12/7 and postmarked by 1/7/10. …and then submit for the $5 in coupons!